Belted Four Star, 2008. 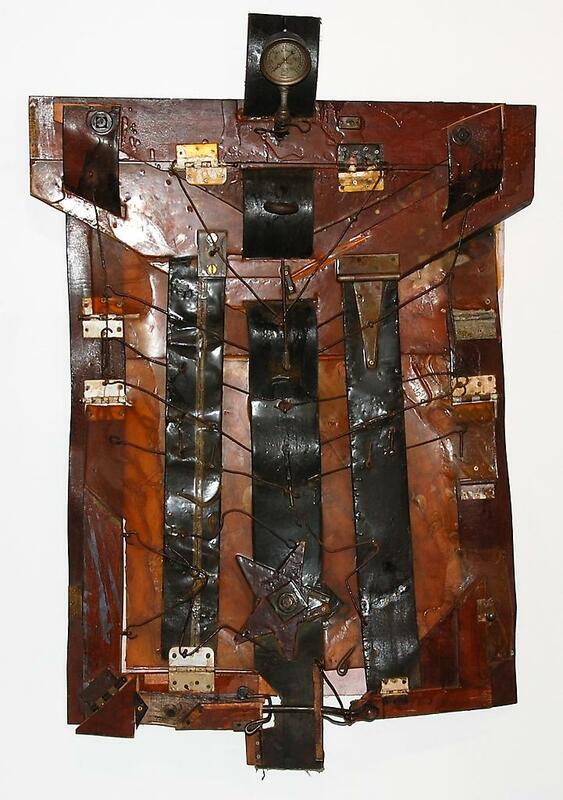 Leather and found materials, 26 x 32 in. 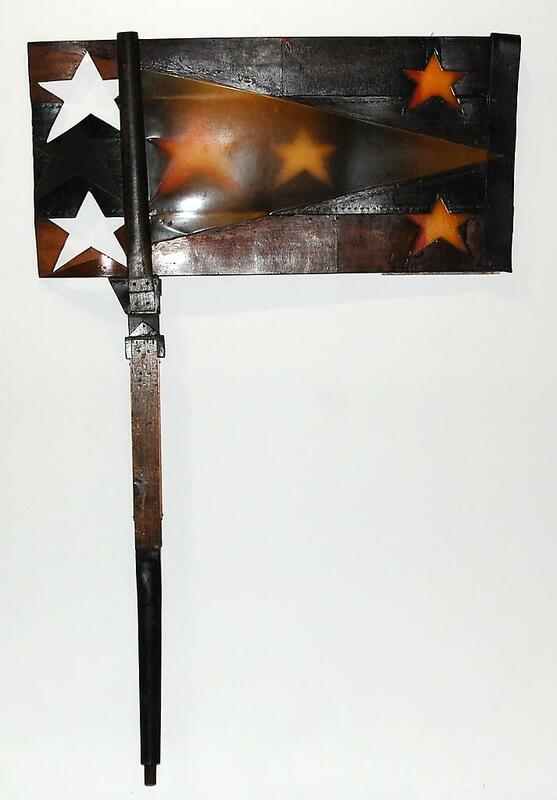 Bronze Belted Two Star, 2011. 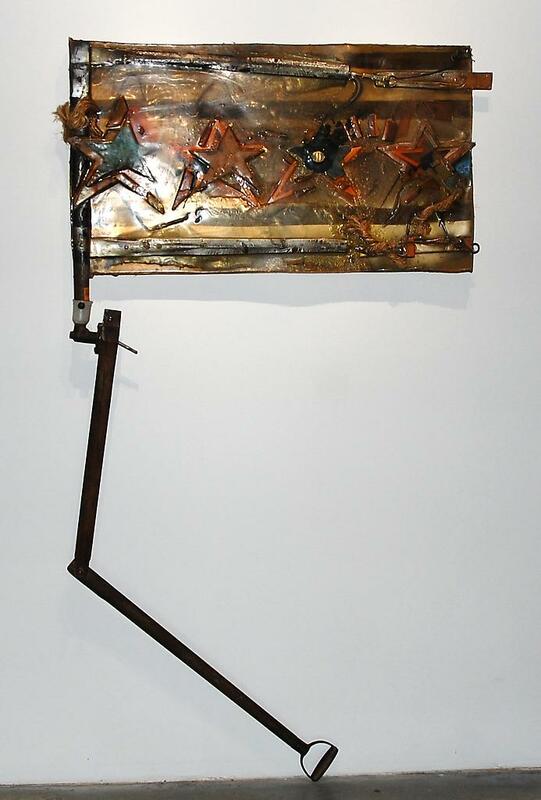 Bronze, 34 x 25 in. 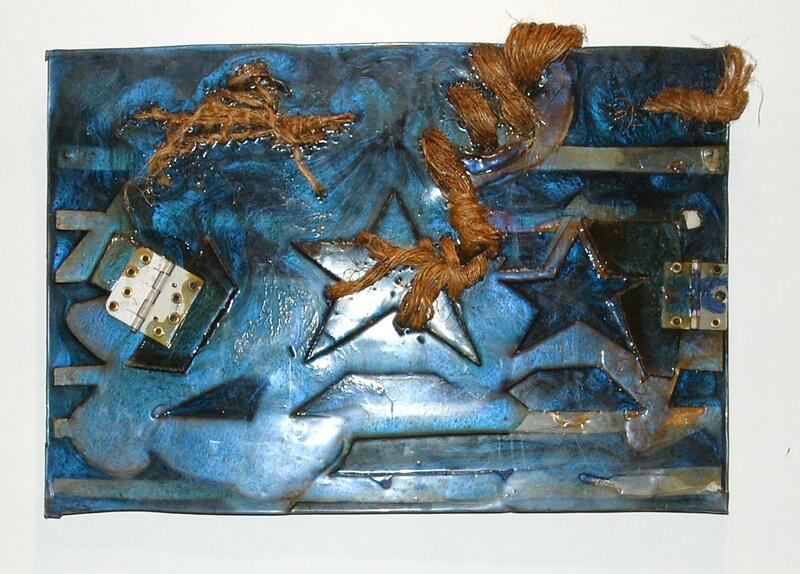 Star & Chain, 2009. 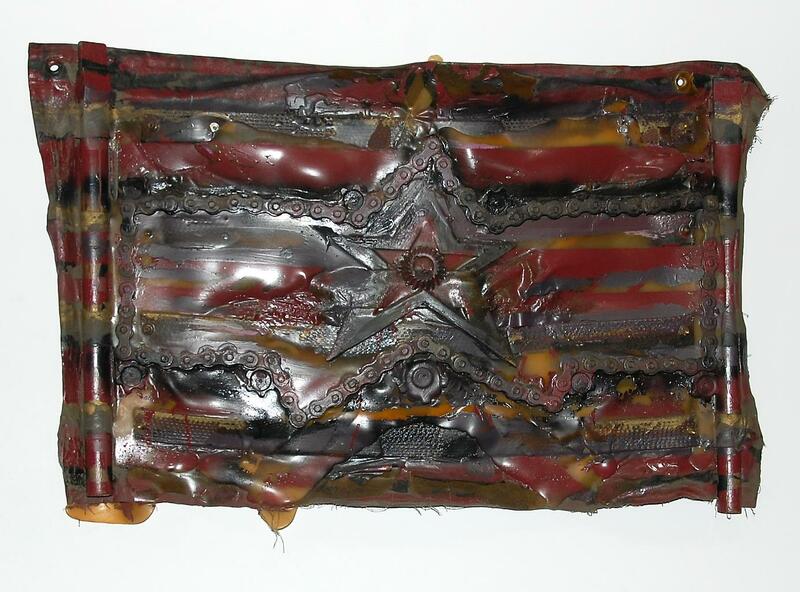 Tarp, rubber, and found materials, 30 x 48 in. Oil Blue Flag, 2009-2010. 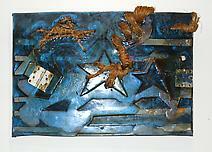 Mixed media and found materials, 26 x 36 in. 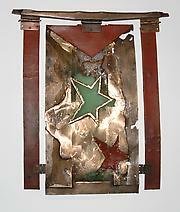 Pulled from the Fire, 2007-2008. 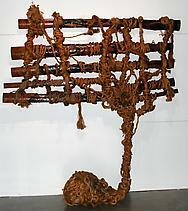 Wood, belts, and found materials, 38 x 48 in. Belted Five Star, 2008. 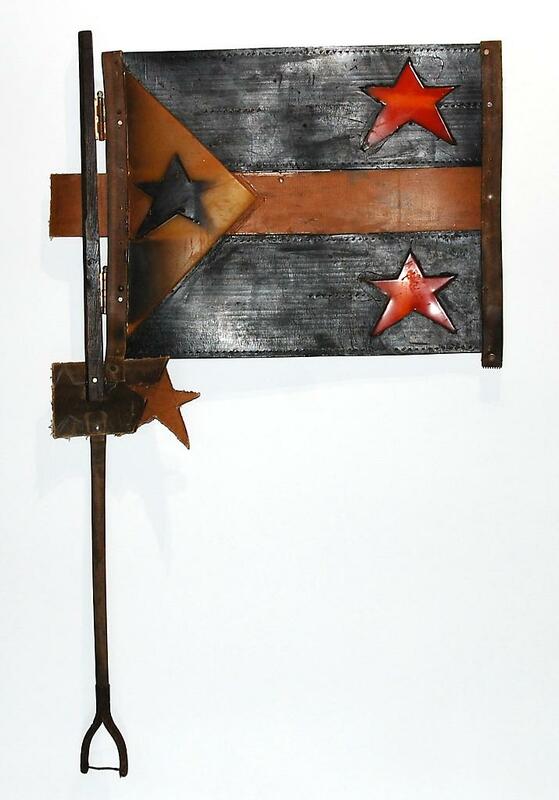 Rubber, leather, and reclaimed wood, 32 x 48 in. 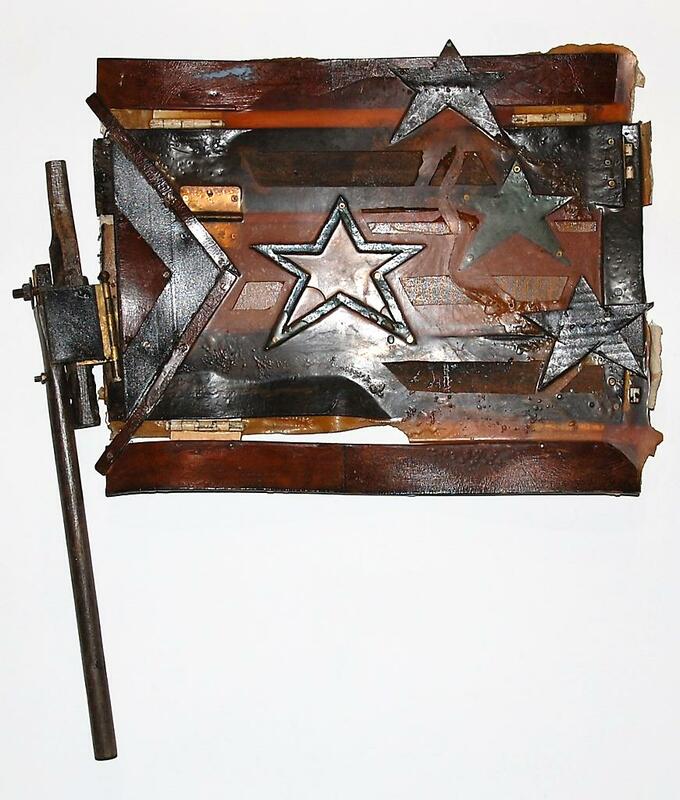 Belted Seven Star, 2008. 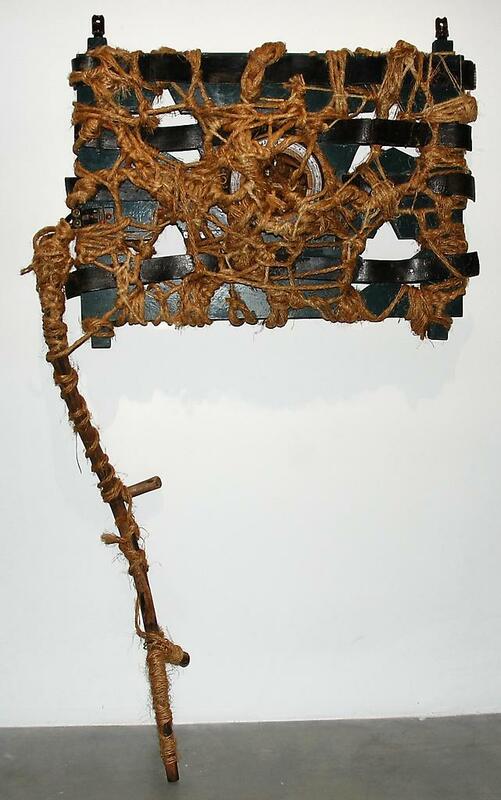 Rubber, leather, and found materials, 25 x 49 in. Growth of a Nation, 2007-2008. 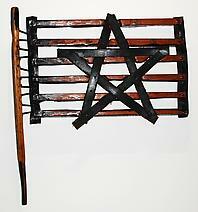 Reclaimed lumber and found materials, 45 x 98 in. 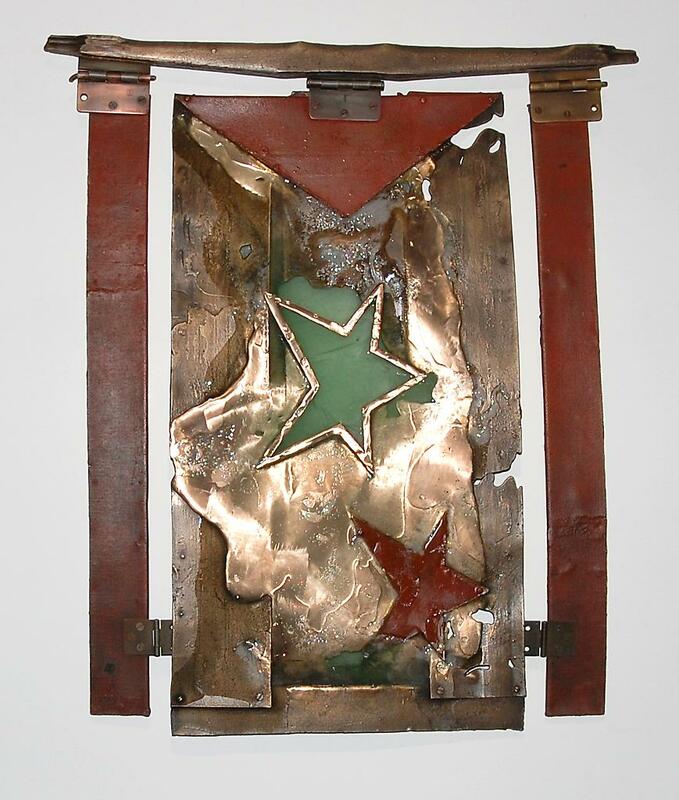 Steam Belt Flag, 2009-2010. 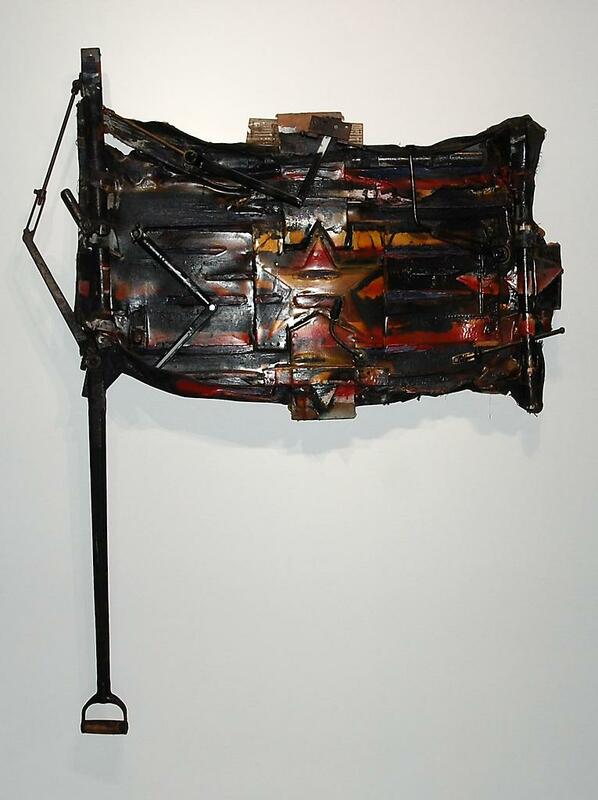 Rubber, leather, and found materials, 62 x 38 in. Stripes & Four Star, 2012. 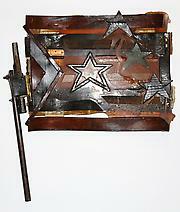 Reclaimed wood and found materials, 25 x 42 in. Star (Re) Evolution, 2009-2010. Found materials, 34 x 46 in. 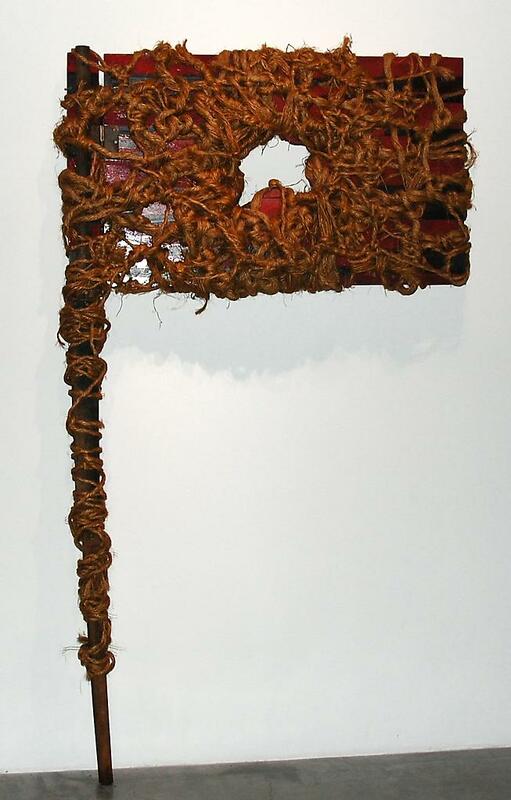 Bound One Star, 2008. Found materials, 28 x 45 in. Bound Four Star, 2008. Found materials, 35 x 42 in. 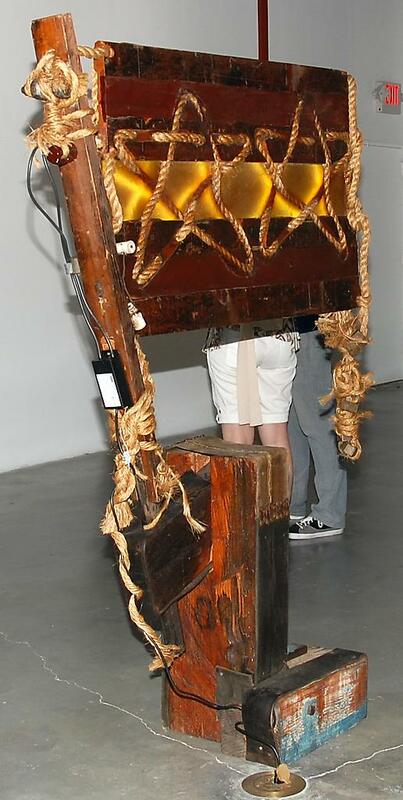 Bronze Buoy, 2012. 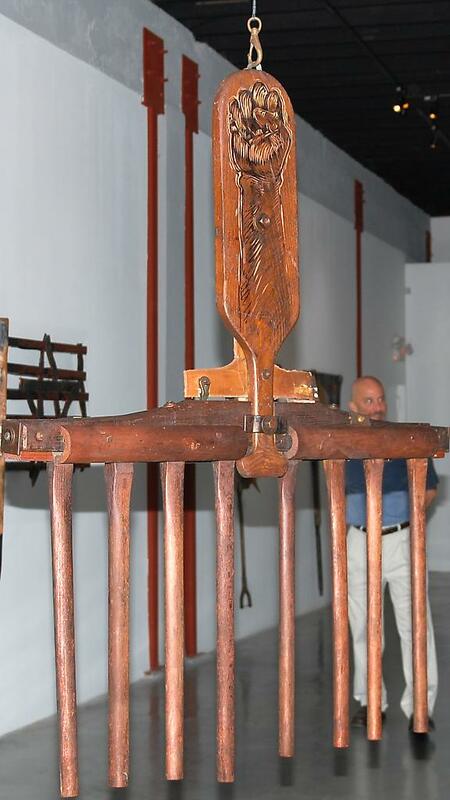 Found mahogany and bronze, 29 x 40 x 41 in. 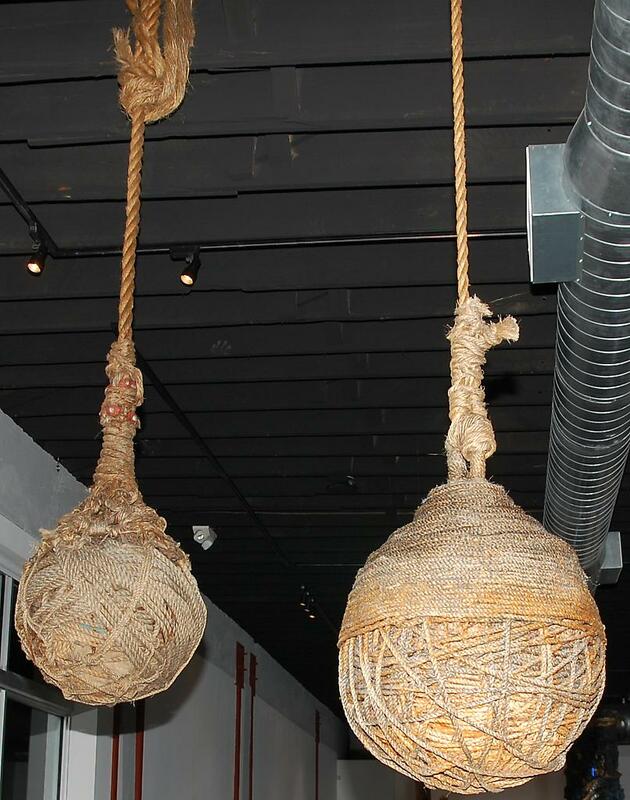 Wrecking Ball & Tether Ball, 2004. Found rope, 22 x 19 x 19 in. The Original Blow-Out Comb, 2012. 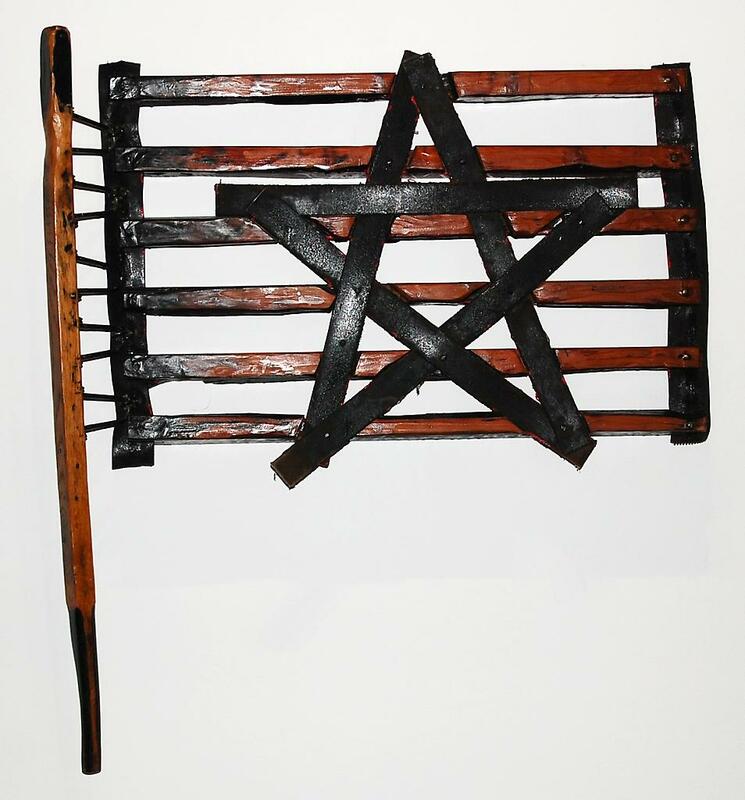 Found wood, 60 x 48 x 5 in. Neon Totemic Column, 2011. 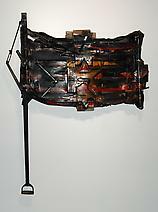 Wood, neon, and found materials, 8.5 ft x 16 in. (totem), 24 x 24 in. (base). Neon Texas Two Star, 2008. 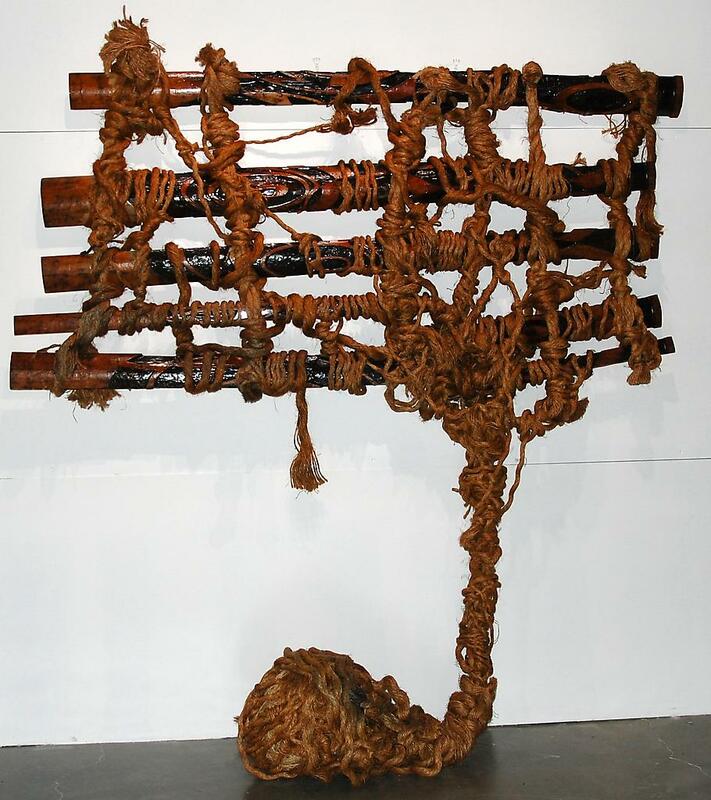 Reclaimed wood, rubber, ropes, belt, and neon, 64 x 46 x 8 in.